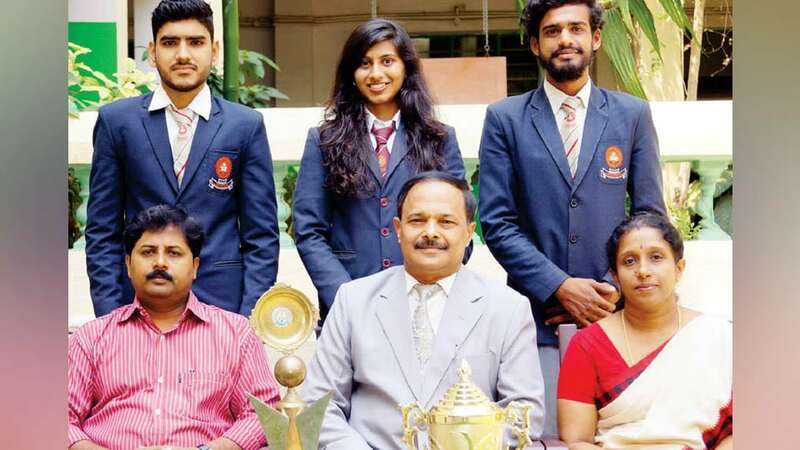 Mysuru – The students of SBRR Mahajana First Grade College, who participated in Dr. K. L. Ramadas Inter-Collegiate Business Quiz and Music competitions organised by TTL College of Business Management, were the overall winners. In Business Quiz, Manish Kumar Choudhary and Sabeel Ahmed, final BBM students bagged the first prize. In Singing (Solo), Shivani of final B.Com bagged the first prize. In Group Song, Prithvi and Group of final BA won the first prize.